Rapid transmeridian flight is a common reality for modern athletes and it has often been assumed that air travel has detrimental effects on athletic performance. The plausibility of this assumption is supported by established deteriorations in sleep and mood following transmeridian flight. However, the scientific evidence supporting the assumption is neither consistent nor compelling. 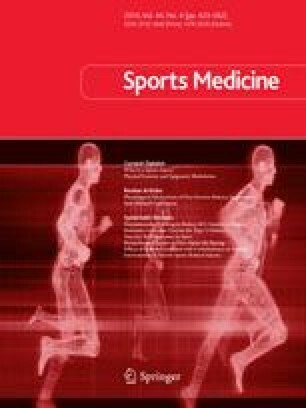 Studies that have assessed athletic performance following transmeridian flight have produced mixed results and are characterised by major methodological flaws. Recent retrospective assessments of athletic team performance based on distance travelled have generally failed to indicate performance impairments following transmeridian flight. The plausibility of transmeridian air travel impairing athletic performance would be indicated by demonstration of an internally-driven circadian rhythm of athletic performance, or of deleterious performance consequences following sleep deprivation or desynchronisation between the circadian system and the environment. More rigorous research is needed to establish whether athletic performance is influenced by air travel.